I realize with a start that it’s been a while since I’ve been out to get the mail. A while as in days. Remnants of past mail piles have been disbursed from their less than attractive spot on the dining room table to the trash and a basket that seems to accumulate that sort of thing as if someday, one of us may actually look through its contents. I find myself using the floury fingers of hands recently finished kneading pizza dough to count the days before realizing I also have to think about what day of the week it is. I think it’s Wednesday. So, it’s been almost a week since I’ve walked across the street to get the mail. I’ve never counted the steps, but thinking about it now, the distance cannot be more than 20 yards from door to kiosk. Big yards. Yards created by huge strides that you imagine are at least three feet long. The mailbox problem is beyond one of memory. Not much comes in the mail these days other than the few bills we’ve still not converted to paperless, newsprint advertisements for local markets’ sales, catalogs I need to email companies to stop sending, and requests for donations to charities I can’t begin to imagine are real. Why bother to get the mail? The routine — once something looked forward to — is more about whether I’ve got my hair combed, am dressed for the day, and wearing something that won’t draw attention should anyone see me walking those 20 yards. I might not care if the occasional neighbor or dog walker from around the block was pleasant. That she smiled or at least nodded without my having to do so first, indicating she was a happy sort, enjoying the day and glad to be out in the sunshine, breathing the fresh air. But that rarely happens. The one person in the neighborhood who was friendly and knew everyone, who always stopped to say hello and ask about things has moved, and the quiet cul-de-sac is more quiet than it’s ever been. I picture our small box in the kiosk and know it’s a toss up: it’s either crammed full, or a lone slip is sitting inside. I give in because it’s been so long, picturing the pinched expression on our mail lady’s face — not exactly the friendly sort — as she works to push yet another day’s mail contents into the small opening of our mailbox, annoyed and thinking about how difficult must it be to collect mail on a daily basis. I take pity on her and decide that since Wednesday is also the day I’m supposed to remember to pick up the MoH’s shirts at the cleaner, I get dressed. Sans shoes and sporting a pony that has to be jutting from the back of my head at a 90 degree angle, I venture out the door. Ever present readers are perched on my head. A black tank donned, clean for 15 minutes until I brush my floury hands on it. Luckily I make it to the kiosk without being noticed. No one is around to take stock of my horribly penciled in eyebrows, toenails with specks of a summery color clinging to each, and legs in need of a razor. I unlock the box, relieved it contains our mail instead of a slip requiring that I drive to the post office to collect it. But the box is stuffed. It’s so full thanks to a ridiculously sized Restoration Hardware catalog, that I have trouble wedging the mass from the box. It’s caught on the latch. I try to avoid tearing the contents as I release them, my thoughts lost in the effort. Suddenly, I notice someone passing directly behind me and turn my eyes to see a slight figured woman, older than myself, cap donned, hair fixed, head down and walking at a rapid pace. She’s been exercising and has clearly fixed herself up to do that, wearing well-fitted black and white sweats. But there’s no acknowledgement of me. No interest in turning her head to allow me to make a self-deprecating comment and share a laugh. I look down at my heels after she passes, trying to imagine what I must look like from the rear struggling with a mailbox and noticing that it’s been a while since they’ve seen the callous remover I use on them. I notice the darkened spot on the leg of my comfortable grey bermuda shorts, remembering with a smile the night the MoH and I made fish and chips. I walk quickly back to the house, head down in determination to get back inside before the car approaching passes. 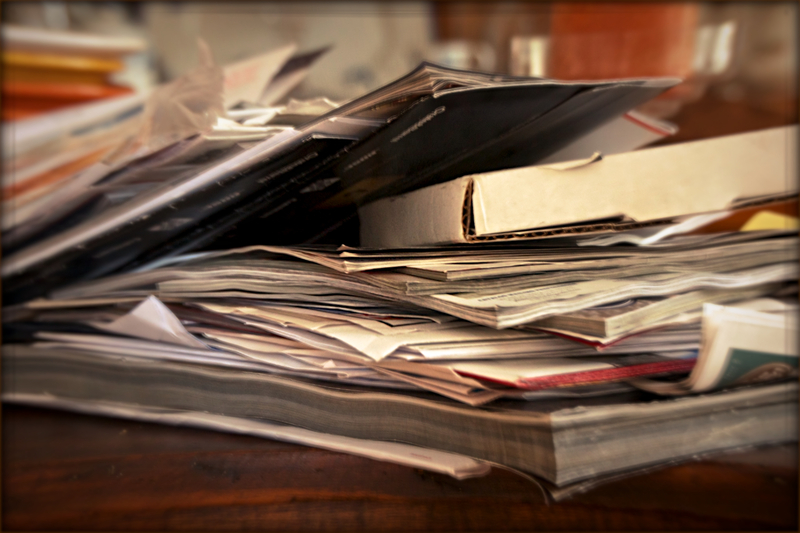 I bury myself in mail sorting, determined to avoid the pile that is inevitable. I’ll feign productivity with this inane task instead of doing something I’d rather do so I can think think about why it’s such a challenge to pry myself from the house. I have always dreaded getting the mail. However, I don’t care what I look like, or if anyone see’s me in my pajamas with uncombed hair while collecting the bills I can’t pay from the mailbox. And I haven’t shaved my legs since who knows when! I can actually picture your trip to the mail box. You write so well! I enjoy and laugh out loud and am so proud that you are my daughter. I walk my dog a few times daily. The early morning walk is in balck sweats sunglasses (in case the sun comes out) and a baseball cap that says “San Diego”. I do not care who sees me. I think it is because they just look at my cute little white dog and not at me. But, then, I am an old lady.